the 15 'new' colleges, founded between 1800 and 1977. The oldest college is Peterhouse, founded in 1284, and the newest is Robinson, founded in 1977. Homerton, which was first founded in the eighteenth century as a dissenting academy (and later teacher training college), attained full college status in 2010. Hughes Hall, St Edmund’s and Wolfson admit only mature students or postgraduates. No colleges are all-male, although most originally were. Darwin, founded in 1964, was the first mixed college, while in 1972 Churchill, Clare and King's colleges were the first previously all-male colleges to admit women. The last all-male college to become mixed was Magdalene, in 1988. In 1973 Hughes Hall became the first all-female college to admit men, and Girton admitted men in 1976. Lucy Cavendish also places restrictions on the admission of staff members, allowing only females to become fellows of the college. The same is true of Newnham, but not Murray Edwards. Key: U–undergraduates, P–postgraduates, Abb-Official abbreviation used in the Reporter. Clare Hall 1966 0 155 47 53 155 £18,180,429 £38,504,565 £91,738  CLH Graduate students only. Darwin 1964 0 710 54 46 710 £22,775,664 £71,989,043 £101,393  DAR Graduate students only. Hughes Hall 1885 (1949) 60 500 61 39 736 £12,310,000 £43,727,997 £59,413  HH Mature undergrad, and grad students only. Became mixed in 1973. Lucy Cavendish 1965 110 110 0 100 380 £12,288,000 £43,945,000 £115,644  LC Mature female undergrad, and female grad students only. Murray Edwards 1954 381 199 0 100 580 £36,297,000 £74,812,930 £128,987  MUR Female only. Formerly New Hall. Newnham 1871 412 112 0 100 638 £57,011,185 £207,371,289 £325,033  N Female students only. St Edmund's 1896 112 356 69 31 574 £17,181,000 £40,296,000 £70,202  ED Mature undergrad, and grad students only. Wolfson 1965 119 385 64 36 887 £24,468,000 £67,286,000 £75,857  W Mature undergrad, and grad students only. There are also several theological colleges in Cambridge (for example Ridley Hall, Wesley House, Westcott House and Westminster College) that are affiliated with the university through the Cambridge Theological Federation. These colleges, while not officially part of the University of Cambridge, operate programmes that are either validated by or are taught on behalf either of the University or of Anglia Ruskin or Durham Universities. 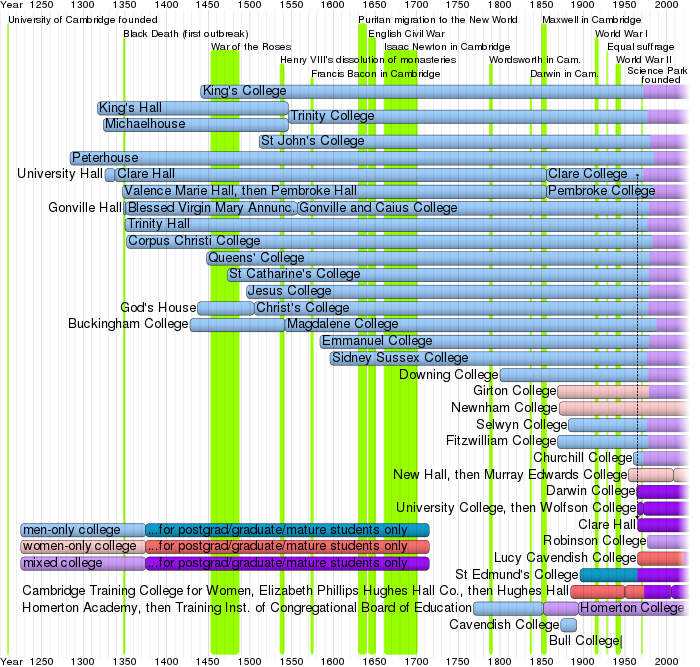 Timeline of the colleges in the order their students are presented for graduation, compared with some events in British history. Most colleges are led by a Master, even when the Master is female. However, there are some exceptions, listed below. Girton College has always had a Mistress, even though male candidates have been able to run for the office since 1976. Ayerst Hostel, founded in the 1880s, renamed as St Edmund's House in 1896 and later St Edmund's College in 1996. 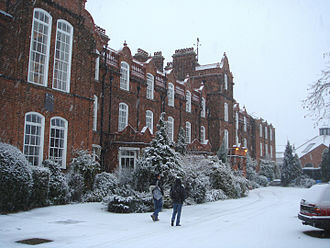 Buckingham College, founded in 1428 as a Benedictine hall, refounded as Magdalene in 1542. Bull College, an unofficial college for US GIs returning from World War II, existing in Michaelmas 1945 and Lent 1946. 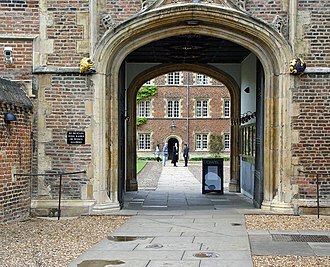 Cavendish College, founded in 1873, an attempt to allow poorer students to sit the Tripos examinations, whose buildings were bought by Homerton in 1895. "Clare Hall" was the name of Clare College between 1338 and 1856. Clare College founded a new college named Clare Hall in 1966. Gonville Hall, founded in 1348, and re-founded in 1557 as Gonville and Caius College. God's House, founded in 1437, and re-founded in 1505 as Christ's College. King's Hall, founded in 1317, and combined with Michaelhouse to form Trinity College in 1546. Michaelhouse, founded in 1324, and combined with King's Hall to form Trinity College in 1546. University Hall, founded 1326, refounded as Clare Hall in 1338, renamed as Clare College in 1856. ^ "Role of the Colleges". University of Cambridge. Archived from the original on 2007-10-23. Retrieved 2008-03-27. ^ a b "The Colleges of the University". University of Cambridge. 2009. Retrieved 2009-04-06. 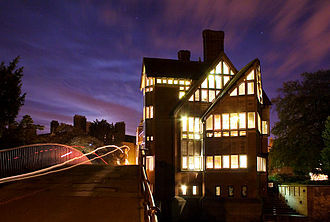 ^ "Ghost sightings haunt Cambridge college". BBC News. 1997-12-19. Retrieved 2008-03-26. ^ "About Robinson College". Robinson College, Cambridge. Retrieved 2008-03-26. 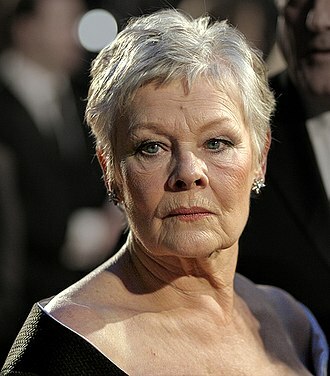 ^ "Cambridge University seeks mature students". University of Cambridge. 2007-01-05. Archived from the original on February 21, 2009. Retrieved 2008-03-26. ^ O'Grady, Jane (2003-06-13). "Obituary - Professor Sir Bernard Williams". London: The Guardian. Retrieved 2009-05-08. ^ "Scarf Colours of the Cambridge Colleges". Queens' College, Cambridge. Archived from the original on 2008-03-15. Retrieved 2008-03-26. ^ "University of Cambridge - The Colleges - Contact information". University of Cambridge. Retrieved 2008-03-26. ^ a b c d e "The Colleges". University of Cambridge. ^ a b "Accounts of the Colleges". Reporter. Cambridge. Archived from the original on 2019-03-14. Retrieved 2019-03-14. ^ "Christ's College". Christ's College, Cambridge. Retrieved 2013-09-26. ^ "Churchill College". Churchill College, Cambridge. Retrieved 2008-03-27. 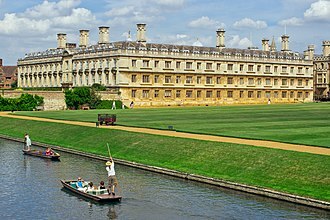 ^ "Clare College". Clare College, Cambridge. Retrieved 2008-03-27. ^ "Clare Hall". Clare Hall, Cambridge. Retrieved 2008-03-27. ^ "Corpus Christi College". Corpus Christi College, Cambridge. Retrieved 2008-03-27. ^ "Accounts - Darwin College" (PDF). darwin.cam.ac.uk. 13 October 2016. Retrieved 2019-03-14. ^ "Darwin College". Darwin College, Cambridge. Retrieved 2008-03-27. ^ "Downing College". Downing College, Cambridge. Retrieved 2008-03-27. ^ "Emmanuel College". Emmanuel College, Cambridge. Retrieved 2011-01-06. ^ "Fitzwilliam College" (PDF). Fitzwilliam College, Cambridge. Retrieved 2018-10-30. ^ "Girton College". Girton College, Cambridge. Retrieved 2008-03-27. ^ "Gonville and Caius College". Gonville and Caius College, Cambridge. Retrieved 2012-05-20. ^ "Homerton College". Homerton College, Cambridge. Retrieved 2008-03-27. ^ "Hughes Hall Accounts 2018" (PDF). Retrieved 24 January 2019. ^ "Hughes Hall | College of the University of Cambridge". hughes.cam.ac.uk. Retrieved 2019-01-24. ^ "Jesus College". Jesus College, Cambridge. Retrieved 2014-05-28. ^ "King's College". King's College, Cambridge. Retrieved 2008-03-27. ^ "Lucy Cavendish College". Lucy Cavendish College, Cambridge. Retrieved 2008-03-27. 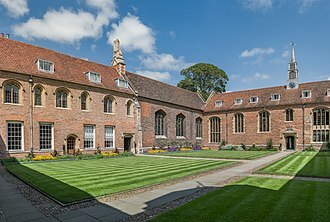 ^ "Magdalene College". Magdalene College, Cambridge. Retrieved 2008-03-27. ^ "Murray Edwards". Murray Edwards College, Cambridge. Retrieved 2008-06-18. ^ "Newnham College". Newnham College, Cambridge. Retrieved 2008-03-27. ^ "Pembroke College". Pembroke College, Cambridge. Retrieved 2008-03-27. ^ "Peterhouse". Peterhouse, Cambridge. Retrieved 2013-03-29. ^ "Queens' College". Queens' College, Cambridge. Retrieved 2008-03-27. ^ "Robinson College". Robinson College, Cambridge. Retrieved 2008-03-27. ^ "St Catharine's College". St Catharine's College, Cambridge. Retrieved 2008-03-27. ^ "St Edmund's College" (PDF). St Edmund's College, Cambridge. Archived from the original (PDF) on 2017-11-09. Retrieved 2017-11-09. ^ "St John's College". St John's College, Cambridge. Retrieved 2008-03-27. ^ "Selwyn College". Selwyn College, Cambridge. Retrieved 2008-03-27. ^ "Sidney Sussex College". Sidney Sussex College, Cambridge. Retrieved 2008-03-27. ^ "Trinity College". Trinity College, Cambridge. Retrieved 2008-03-27. ^ "Trinity Hall". Trinity Hall, Cambridge. Retrieved 2008-03-27. ^ "Wolfson College". Wolfson College, Cambridge. Retrieved 2008-03-27. ^ "Institutes and Centres in the Federation - Member Institutes". Cambridge Theological Federation. Archived from the original on June 12, 2007. Retrieved 2008-03-27. ^ "College History". Queens' College, Cambridge. Archived from the original on 2013-09-01. Retrieved 2013-09-13. ^ "The Early Days". Magdalene College, Cambridge. Archived from the original on 2009-03-26. Retrieved 2008-03-27. ^ "Cambridge Colleges Foundation Dates". Queens' College, Cambridge. Archived from the original on 2008-02-20. Retrieved 2008-03-27. ^ "Homerton College Archive". Homerton College, Cambridge. Archived from the original on 2007-08-07. Retrieved 2008-03-27. ^ "Past - Introduction - Beginnings". Archived from the original on 2008-03-15. Retrieved 2008-03-27. ^ "College History". Christ's College, Cambridge. Retrieved 2009-06-09. ^ a b "Historical Overview". Trinity College, Cambridge. Retrieved 2008-03-27. Gonville and Caius College is a constituent college of the University of Cambridge in Cambridge, England. 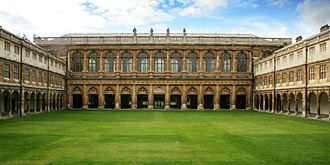 The college is the fourth-oldest college at the University of Cambridge, the college has been attended by many students who have gone on to significant accomplishment, including fourteen Nobel Prize winners, the second-most of any Oxbridge college. The college has long associations with medical teaching, especially due to its alumni physicians, John Caius. 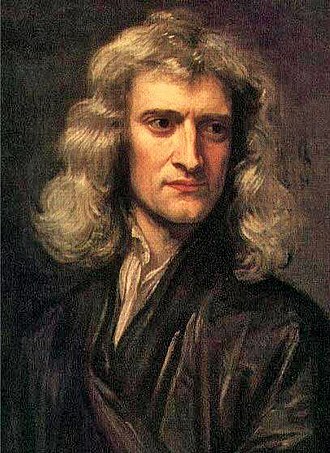 Other famous alumni in the sciences include Francis Crick, James Chadwick, Stephen Hawking, previously Cambridges Lucasian Chair of Mathematics Emeritus, is a current fellow of the college. The college maintains academic programmes in other disciplines, including economics, English literature. 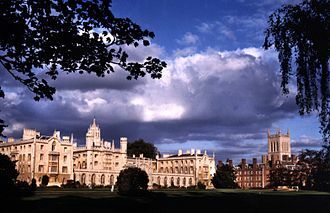 Gonville and Caius is said to own or have rights to much of the land in Cambridge, several streets in the city, such as Harvey Road, Glisson Road and Gresham Road, are named after alumni of the College. The college was first founded, as Gonville Hall, by Edmund Gonville, Rector of Terrington St Clement in Norfolk in 1348, when Gonville died three years later, he left a struggling institution with almost no money. The executor of his will, William Bateman, Bishop of Norwich, stepped in and he leased himself the land close to the river to set up his own college, Trinity Hall, and renamed Gonville Hall The Hall of the Annunciation of the Blessed Virgin Mary. Bateman appointed the first Master of the new college his former chaplain John Colton, by the sixteenth century, the college had fallen into disrepair, and in 1557 it was refounded by Royal Charter as Gonville and Caius College by the physician John Caius. John Caius was master of the college from 1559 until shortly before his death in 1573 and he provided the college with significant funds and greatly extended the buildings. During his time as Master, Caius accepted no payment but insisted on several unusual rules, Caius built a three-sided court, Caius Court, “lest the air from being confined within a narrow space should become foul”. Caius did, found the college as a centre for the study of medicine. By 1630, the college had expanded greatly, having around 25 fellows and 150 students, since the college has grown considerably and now has one of the largest undergraduate populations in the university. Robinson College is a constituent college of the University of Cambridge, England. Robinson gave his college another £1 million on the occasion of its official opening, the first graduate students and fellows joined the college in 1977. Undergraduates were first admitted in 1979, but significant numbers only began arriving the following year, the college was formally opened by Queen Elizabeth II in May 1981. Robinson is in less formal and traditional than most of the older colleges in the university. The Arms of the College are described as follows, Azure in base two Bars wavy Argent over all a Pegasus rampant Or gorged with a Crown rayonny Gules, the Latin grace is read before the start of formal hall. Latin, domine, nobis et donis tuis, per Jesum Christum dominum nostrum, amen. Lord, bless us and your gifts, through Jesus Christ our Lord. Designed by the Scottish architectural firm Gillespie, Kidd & Coia, in November 2008 the College was named in the 50 most inspiring buildings in Britain by The Daily Telegraph. Of particular note are the library and chapel, the latter with stained-glass windows designed by John Piper. The college is located a ten-minute walk west of the city centre, behind the University Library, near the buildings in West Cambridge. It stands on a 12. 5-acre wooded site noted for its historical and horticultural interest, Robinson owns a number of houses on Adams Road and Sylvester Road adjoining the main college site, which it uses for student accommodation. A number of students live in college-owned accommodation elsewhere in Cambridge. The main entrance to the college is via a ramp which is accessible to wheelchair users. 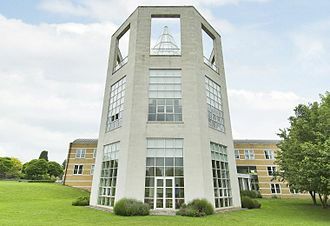 The Needham Research Institute is located within the college grounds, as one of Cambridges most important conference centres, Robinson hosts a number of conferences during the summer vacation when the undergraduate students are absent. Politically, Robinson is generally seen as liberal, Robinson has supplied a large number of Green Officers to the Cambridge University Students Union in recent years and in 2008 was judged the most environmentally friendly college in Cambridge. Trinity Hall is a constituent college of the University of Cambridge, England. 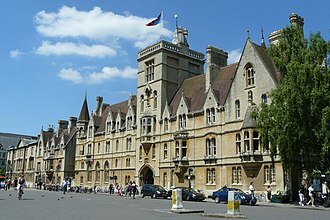 It is the fifth-oldest college of the university, having founded in 1350 by William Bateman. Historically, Trinity Hall was known for teaching Law, today, it teaches the sciences and this led the college to be particularly strong in legal studies, a tradition that has continued over the centuries. 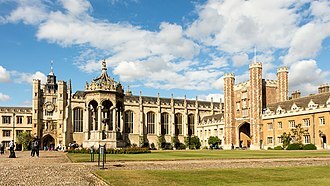 At first all colleges in Cambridge were known as Halls or Houses, when Henry VIII founded Trinity College, Cambridge next door, it became clear that Trinity Hall would continue being known as a Hall. This is why it is incorrect to call it Trinity Hall College, although Trinity Hall college is, strictly speaking, interestingly a similar situation existed once before in the history of the University, when Henry VI founded Kings College despite the existence of Kings Hall. Kings Hall was incorporated in the foundation of Trinity College in 1546, the chapel was licensed in 1352 and built in 1366, in the year that Pope Urban V granted the Master and Fellows permission to celebrate Mass in the college. Murray Edwards College is a women-only constituent college of the University of Cambridge. It was founded as New Hall in 1954, and unlike other colleges, it was founded without a benefactor. New Hall was founded in 1954, housing sixteen students in Silver Street where Darwin College now stands and this was at a time when Cambridge had the lowest proportion of women undergraduates of any university in the United Kingdom, and when only two other colleges admitted female students. In 1962, members of the Darwin family gave their home, The Orchard and this new site was located on Huntingdon Road, about a mile from the centre of Cambridge. The architects chosen were Chamberlin and Bon, who are known for their design of the Barbican in London, the building work began in 1964 and was completed by W. & C. The new college could house up to 300 students, in 1975, the Colleges President Dame Rosemary Murray became the first woman to hold the post of Vice-Chancellor of the University of Cambridge. 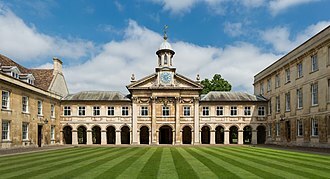 Since then, two subsequent presidents, Anne Lonsdale and Jennifer Barnes, have become Pro-Vice-Chancellors of the University of Cambridge, men-only Cambridge colleges were converted into mixed colleges in the 1970s and 1980s. The fellowship and staff at Murray Edwards College are nevertheless recruited from both sexes, New Hall received its Royal Charter in 1972. Vertically in the centre, place a Dolphin with head downwards to the left, on top, place three stars horizontally across. Bordering the arms, place a square representing the battlements of a castle. The black castellation round the arms marks the location on Castle Hill. The three stars are borrowed from the Murray coat of arms, while the heraldic Dolphin symbolises a youthful spirit of exploration and discovery, in addition to the arms, the college had designed a new logo to mark its transition from New Hall to Murray Edwards College. It was based on the design of the interior of the hall and was called the spark. However, on consultation with its alumnae, the decided to continue to use its arms in official materials. Like many of the other Cambridge Colleges, Murray Edwards College was not built all at one time but expanded as the need arose, the College therefore has several accommodation blocks of differing styles. Fitzwilliam College is one of the constituent colleges of the University of Cambridge, England. The institution was based at Fitzwilliam Hall, opposite the Fitzwilliam Museum in central Cambridge. Having moved to its present site in the north of the city, female undergraduates were first admitted in 1978, around the time most colleges were first admitting women. Six members of Fitzwilliam College have received a Nobel Prize, Fitzwilliam is now home to around 450 undergraduates,300 graduate students and 90 fellows. This became the headquarters of the Non-Collegiate Students Board and provided student facilities and it was renamed Fitzwilliam House in 1922. 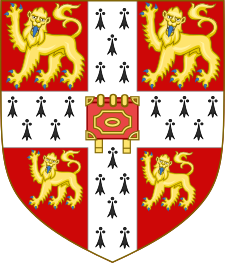 It developed a tradition in Medicine and established a reputation as one of the most internationally diverse institutions within the University, in the second half of the 20th century, the availability of grants made Cambridge more accessible and the need for a non-collegiate body of undergraduates began to decline. The suggestion that Fitzwilliam close prompted an outcry from former students, funds were accumulated and a new site was acquired at Castle Hill, about one mile north of the city centre. The first new buildings were opened in 1963, in 1966, Fitzwilliam House was granted a royal charter by the Queen-in-Council and became Fitzwilliam College. Since Fitzwilliam began operating at its current site in the north-west of Cambridge, it has steadily and developed into one of the Universitys larger. Built around a manor house, the college has grown by one or two buildings each decade and now consists of five interconnected courts, enclosing large, rectangular gardens. In contrast to most of the University, and indeed the regency estate at the colleges centre, the first two courts and the central building were designed by Sir Denys Lasdun and completed in 1963. The intention was for buildings to constitute the back of the college and, as funding became available, the college grew to the south, with New Court. Finally, the plan was completed when Gatehouse Court became the new front. In the following year, the completed the new Auditorium building. Fitzwilliam has, over the years, known for its beautiful gardens. Trinity College is a constituent college of the University of Cambridge in England. With around 600 undergraduates,300 graduates, and over 180 fellows, by combined student numbers, it is second to Homerton College, Cambridge. Members of Trinity have won 32 Nobel Prizes out of the 91 won by members of Cambridge University, five Fields Medals in mathematics were won by members of the college and one Abel Prize was won. Other royal family members have studied there without obtaining degrees, including King Edward VII, King George VI, along with Christs, Kings and St Johns colleges, it has provided several of the well known members of the Apostles, an intellectual secret society. 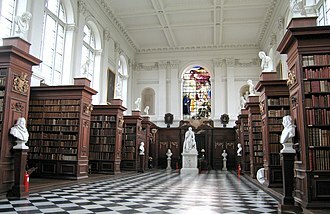 In 1848, Trinity hosted the meeting at which Cambridge undergraduates representing private schools such as Westminster drew up the first formal rules of football, Trinitys sister college in Oxford is Christ Church. Like that college, Trinity has been linked with Westminster School since the schools re-foundation in 1560, the college was founded by Henry VIII in 1546, from the merger of two existing colleges and Kings Hall. At the time, Henry had been seizing church lands from abbeys, the universities of Oxford and Cambridge, being both religious institutions and quite rich, expected to be next in line. The King duly passed an Act of Parliament that allowed him to any college he wished. The universities used their contacts to plead with his sixth wife, the Queen persuaded her husband not to close them down, but to create a new college. The king did not want to use royal funds, so he combined two colleges and seven hostels to form Trinity. Contrary to popular belief, the lands granted by Henry VIII were not on their own sufficient to ensure Trinitys eventual rise. In its infancy Trinity had owed a great deal to its college of St Johns. Its first four Masters were educated at St Johns, and it took until around 1575 for the two colleges application numbers to draw even, a position in which they have remained since the Civil War. Bentley himself was notorious for the construction of a hugely expensive staircase in the Masters Lodge, most of the Trinitys major buildings date from the 16th and 17th centuries. Hughes Hall is a constituent college of the University of Cambridge in England. It is the oldest of the four Cambridge colleges which admit only mature students, since it has enlarged and expanded to support a community of students and researchers, both male and female, working in all the academic domains encompassed by the University of Cambridge. In 1878 the University of Cambridge established a Teachers Training Syndicate to develop a curriculum in education for students of the University intending to become teachers. Hughes Hall was established in 1885 as a college for graduate students taking the Teacher Training curriculum. Key amongst its supporters and founders were Rev. G. F. The college was founded as the Cambridge Training College for Women. The first principal was a graduate of Newnham College, Elizabeth Phillips Hughes, one of the first matriculants, Molly Thomas, recounted the experience of the first class of students in A London Girl of the 1880s, published under her married name, M. V.
Hughes. The college became a foundation of the University in 1985. Student numbers gradually increased in the 1980s and 1990s, Hughes Hall has about 500 graduate students and around 90 undergraduates, all students are mature, and the college accommodates study in the wide range of studies taught in the University. The college is one of the most international Cambridge colleges, with its students representing over 60 nationalities, the colleges main building, known as the Wileman Building, was designed by architect William Fawcett and built in 1895. It was opened by Liberal politician George Robinson, the first Marquess of Ripon, the building is Grade II listed, red brick in Neo-Dutch style, and has an especially notable terracotta porch. The building, and its various more modern wings, contains student rooms, the library, social areas and study spaces. Next door to the Wileman Building is Wollaston Lodge, a fine symmetrical early-20th century building in brick, designed by E. S. Prior. In 2005 Hughes opened a new residential and meeting building, the Fenners Building and it is possible to see the spire of the Our Lady and the English Martyrs Church – the tallest church spire in Cambridge - from the buildings west-facing windows and terraces. Westminster College in Cambridge is a theological college of the United Reformed Church, formerly the Presbyterian Church of England. Its principal purpose is training for the ordination of ministers, but is used more widely for training within the denomination. The college was founded in London in 1844 with a home in the Exeter Hall before moving to permanent premises in Queens Square. Following an appeal for funds from the wider Presbyterian congregation, the college commissioned a new building designed by Henry Hare and built between 1897–1899. In 1967 the college began to amalgamate with Cheshunt College, presaging the union of the Congregational, D. Davies, known for his work on Paul and his Jewish background. Agnes Smith Lewis and Margaret Dunlop Gibson were noted for their study of one of the earliest versions of the Old Gospels in Syriac Sinaiticus discovered in the monastery Saint Catherines Monastery. The sisters found the manuscripts in the market of Cairo. It was sold in 2010 to the Green Collection and they edited many other important manuscripts in Syriac and Arabic. In 1897 Lewis and Gibson found and purchased some fragments of parchment of the Cairo Genizah whilst travelling in the Middle East. With the support of Solomon Schechter they made more trips to the Middle East. Schechter identified the fragments as forming part of the Hebrew Wisdom of Sirach, the Cairo Genizah collection was put up for sale by Westminster College for £1. This is the first time the two libraries have collaborated for such a fundraising effort, the money was used by Westminster College to help finance a £7 million refurbishment of the College in 2013-2014. In concentrating on studies for training clergy, the college is in some ways closer to the original conception of the main university colleges when they were founded. Currently, Westminster has connected with it around 50 students, some in training for ministry in the United Reformed Church, most students have studied for four years, which includes an internship year working in a local church. However, the College now trains many students part-time and via distance learning, most students still work, either for a BA or MA degree or a BTh or BA/Tripos degree. St Edmunds College is one of the 31 constituent colleges of the University of Cambridge. Over three-quarters of St Edmunds students are studying towards higher degrees, usually the PhD, the college is named after St Edmund of Abingdon who was the first known Oxford Master of Arts and the Archbishop of Canterbury from 1234 to 1240. The college is located about 15 minutes walk northwest of the centre of Cambridge, near Lucy Cavendish and its campus is a garden setting on the edge of Roman Cambridge, with housing for over 250 students. After Catholic Emancipation, in particular after the repeal of Test Acts in 1873, in its early days the college functioned predominantly as a lodging house, or residential hall of residence, for students who were matriculated at other colleges. Most of the students, at time, were ordained Catholic priests who were reading various subjects offered by the university. The college was established in the buildings of Ayerst Hostel, which had set up for non-collegiate students by the Reverend William Ayerst in 1884. In 1896 Ayerst Hostel had to due to lack of funds. These occasions often involved large numbers of MAs congregating in Cambridge to scupper any attempt to uphold what they believed was a papist institution. One of the jokes, referring to an unsuccessful attempt by St Edmunds to get official recognition from the university, ran as follows. One of them asks, Where are you going, answers the other, Im going to bury St Edmunds. Meanwhile, the development of the college continued, the chapel was consecrated in 1916. A new dining hall was constructed in 1939, the membership of the college increased steadily. The college was now a recognized House of Residence of the university, in the 1960s the university decided to establish several colleges catering primarily to postgraduate students. St Edmunds House was accepted as one of the colleges in the university, although today it admits mature. In 1965 the college was permitted to matriculate its own students, in 1975 it acquired the status of an Approved Foundation, in 1986 the name was changed from St Edmunds House to St Edmunds College and in 1996 it finally received full collegiate status. Westcott House is a Church of England theological college based in Jesus Lane in the centre of the university city of Cambridge in the United Kingdom. Its main activity is training people for ordained ministry in the Church of England, Westcott House is a founder member of the Cambridge Theological Federation. The college is considered by many to be catholic or Liberal Catholic in its tradition. Westcott House began its life in 1881 as the Cambridge Clergy Training School, brooke Foss Westcott, the Regius Professor of Divinity at the University of Cambridge was its first president. He became the Bishop of Durham, Westcott was exercised by the way in which the Church of England was increasingly dominated by parties and factions. Westcott himself eschewed any party affiliation and this is the spirit which Westcott House seeks to honour today, drawing students from all backgrounds to prepare them for ministry in this historic centre of Christian learning. In response to the Faith in the City report, published in 1985, through its partnership with the Diocese of Manchester, the College has pioneered patterns of context-based learning and innovative approaches to contextual theology for over twenty years. Old Court, facing the Chapel. The stained-glass windows on Robinson College Chapel, designed by John Piper. The Great Hall (1889) with Jane Benham Hay's 'The Florentine Procession' on display. The 16th-century gallery which used to connect the Old Court with St Bene't's Church. To the right is the Old Court. St Bene't's Church with its Saxon tower viewed from Bene't Street. To the right, one can see the passage leading into Corpus. The Fitzwilliam Museum, the University's art and antiquities museum and the college's namesake. The College sign on Huntingdon Road (removed in May 2008 to make way for further building work). 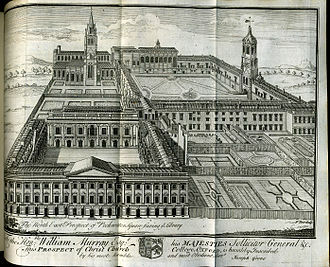 Bird's eye view of Queens' College, Cambridge by David Loggan, published in 1690.